One of Science Fiction’s Greatest Villains Gets His Own Series! “What is it about villains that fascinates us so? January 25th, 2010 – Los Angeles, CA – BOOM! Studios’ best-selling FARSCAPE series enters its second year with a fresh dose of bad attitude with the premiere of FARSCAPE: SCORPIUS – coming this April! 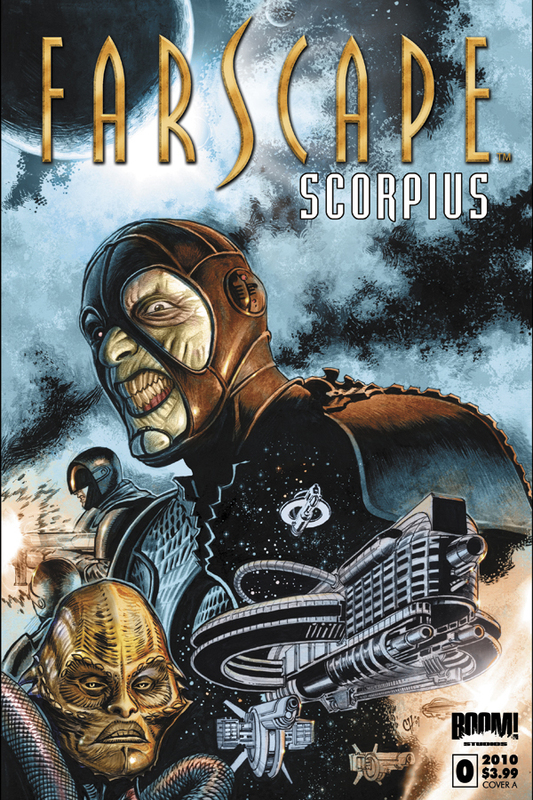 Written by show creator Rockne S. O’Bannon, FARSCAPE: SCORPIUS brings one of the greatest sci-fi villains of all time to his own ongoing series. An excellent new entry point for Farscape fans that might have missed the previous BOOM! Farscape series, FARSCAPE: SCORPIUS finds everyone’s favorite black leather clad villain – Scorpius – deposed from his throne on Hyneria and making a bold new discovery that could put him back on top of the Uncharted Territories! 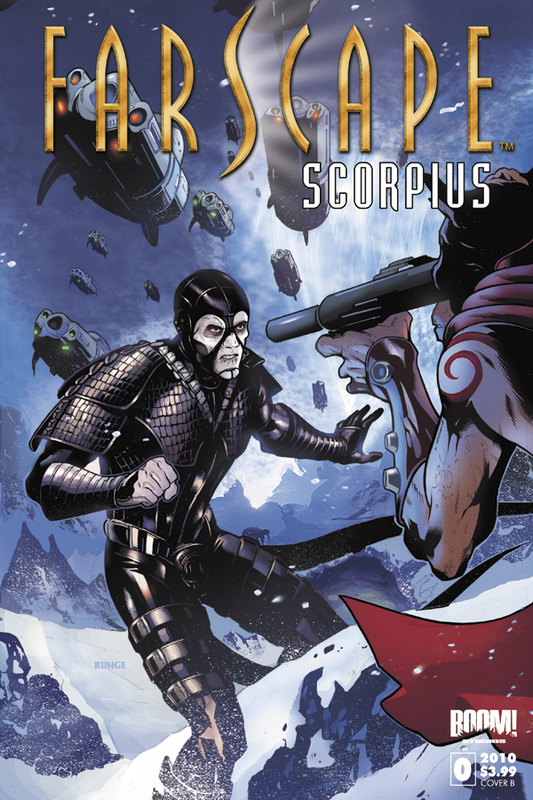 Written by series creator Rockne S. O’Bannon and scripted by fan-favorite STAR TREK novelist David Alan Mack, FARSCAPE: SCORPIUS is the must have book of this spring. FARSCAPE: SCORPIUS #0 is written by Rockne S. O’Bannon and scripted by David Alan Mack with interior art by hot newcomer Mike Ruiz. The debut issue features two covers in a 50/50 split, with art by Nick Runge and Chad Hardin, a 1-in-10 incentive cover and carries a Diamond Code of FEB100749.